Popular discount retailer among kids and teens, Five Below, is making its way to one of the most upscale shopping hubs in NYC’s Fifth Avenue. Projected to open in November 2018 near Bryant Park, the 10,800 SF New York flagship storefront will stand roughly 2,000 SF larger than the average Five Below location. The company has plans to open roughly 125 locations in fiscal year 2018, adding onto the 600 stores it has today. According to CNBC, today’s landlords are becoming more willing to accommodate and negotiate on price and lease terms, opening up more opportunity for more chain presences in larger metros. With this particular opening situated conveniently near Times Square, organic marketing tools like foot traffic, photo opportunities and word-of-mouth will provide ample opportunities for success. 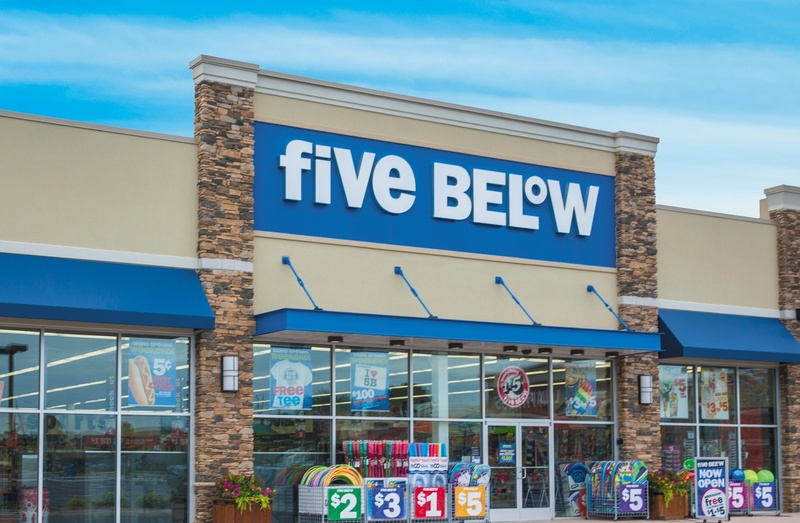 With an inventory carrying everything from board games and fidget spinners to Barbie dolls — all for less than $5 a pop — Five Below shoppers will enjoy the brand’s in-store browsing experience that isn’t available online. With a first-quarter earnings report including shares trading around $100 (up more than 115 percent from last year), the company seems to be on the heels of a strong fiscal year ahead. Learn more about Five Below here.